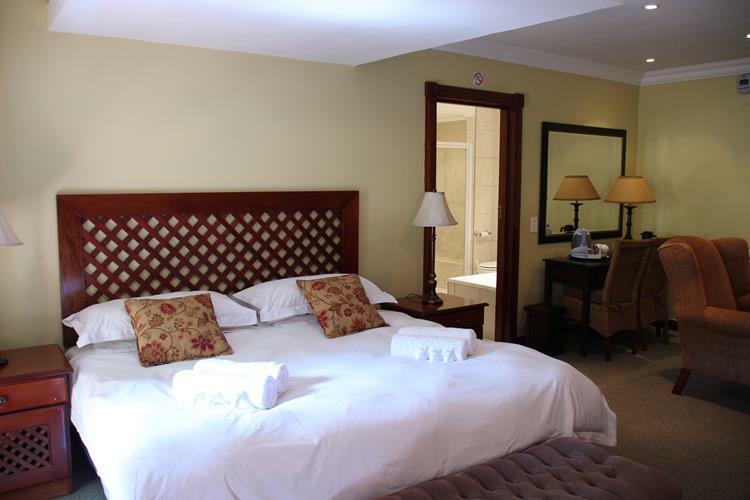 Rietondale Lodge and Conference Centre offers exclusive accommodation consisting of 15 private, en-suite bedrooms, some with additional private gardens and some overlooking the cool inviting pool. 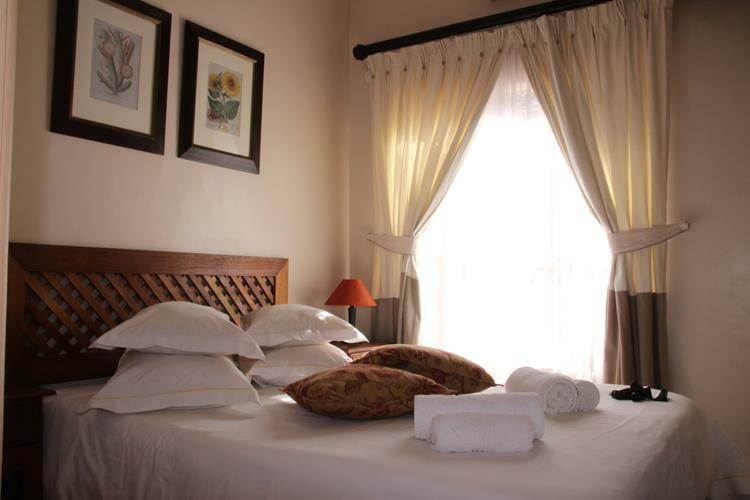 Comfortable mattresses and carefully selected top quality linen will ensure a good nights rest. 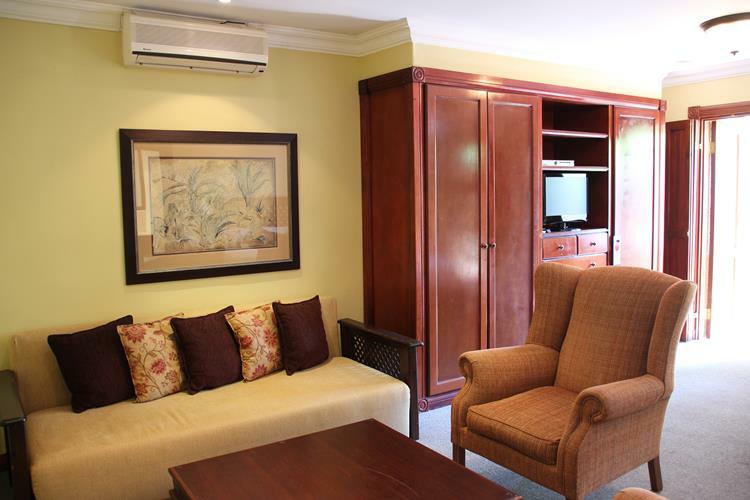 All rooms are air-conditioned and provided with TV’s with M-Net, ETV and DSTV channels. 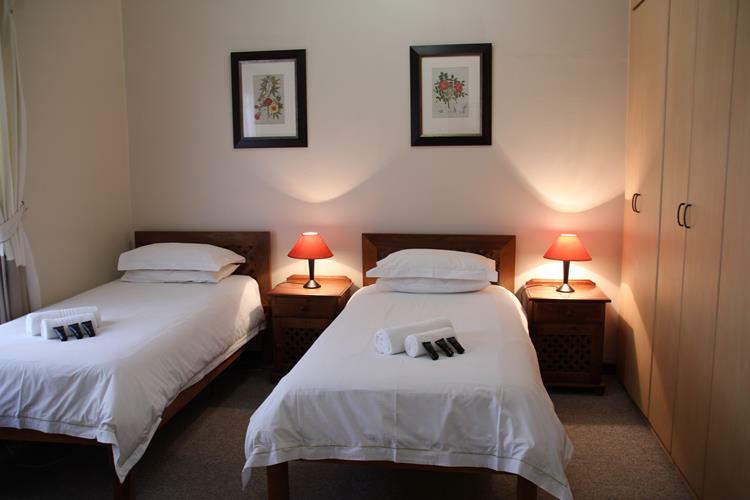 Rietondale Lodge offers a selection of different types of accommodation including single rooms, double rooms and family rooms to suit the needs of all guests. 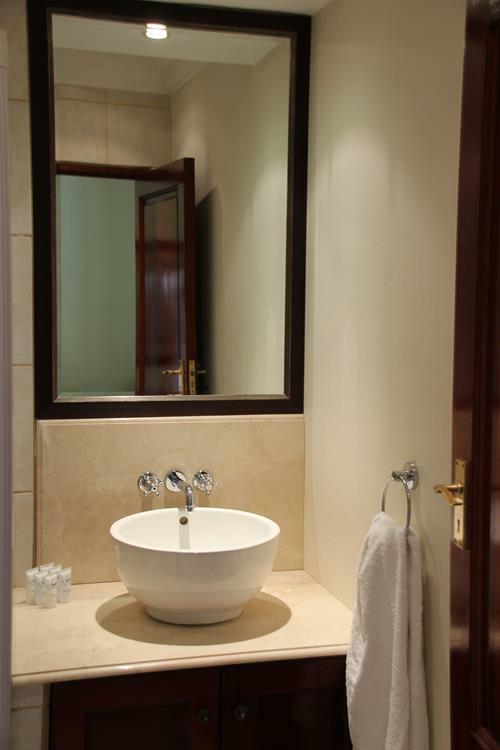 Private and secure parking is located close to the rooms to ensure comfortable and secure accommodation. 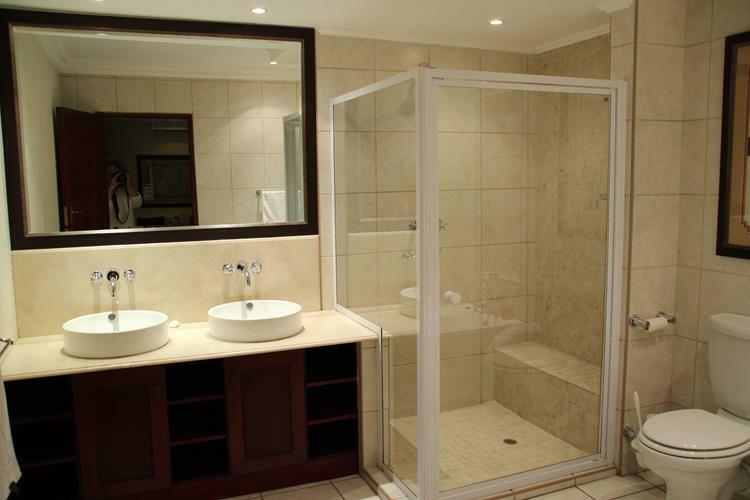 Double Room Single Person R650 p.p. 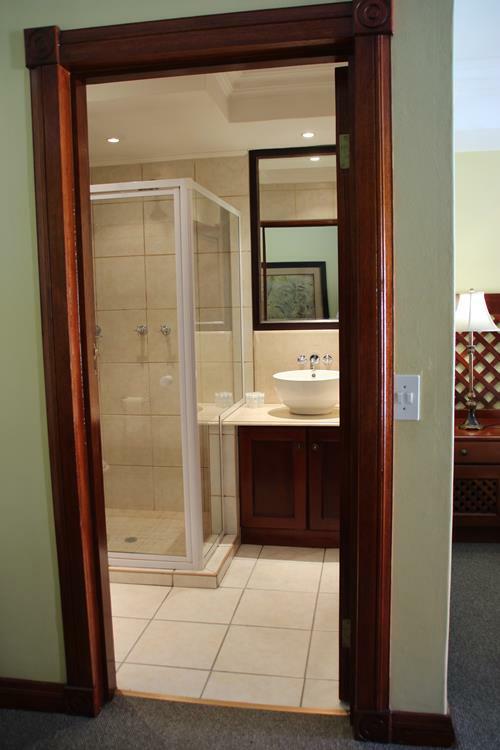 Double Room Per Person Sharing R450 p.p. 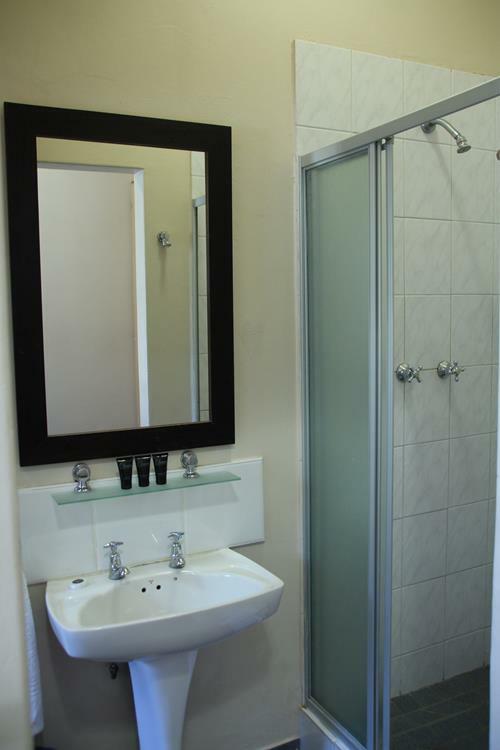 Double Room - Single Person R780 p.p. 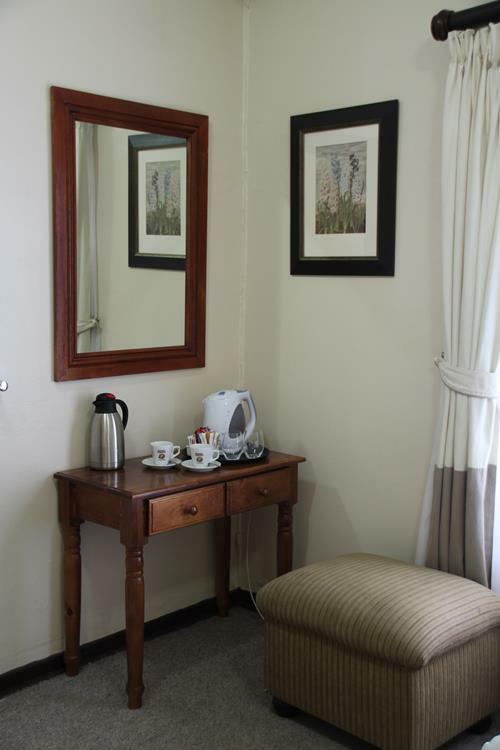 Double Room - Per Person Sharing R520 p.p. Double Room - Single Person R940 p.p. 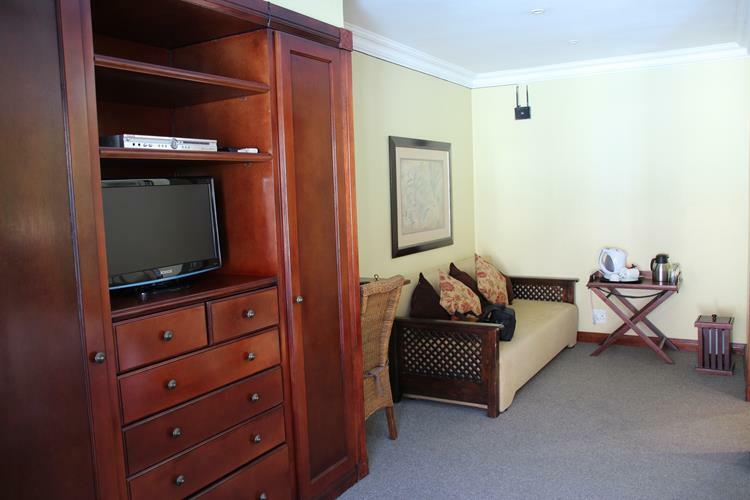 Double Room - Per Person Sharing R650 p.p. All rooms fitted with Air conditioner and TV. 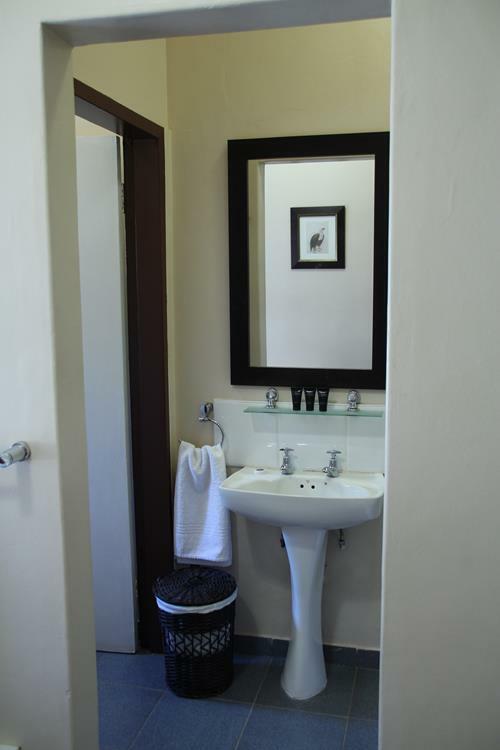 Five Beautiful Standard Single bed Rooms for R470.00 per night per room with Dstv (hotel bouquet), Air conditioning, Wireless Internet, Coffee and tea Facilities and an en suite bathroom. 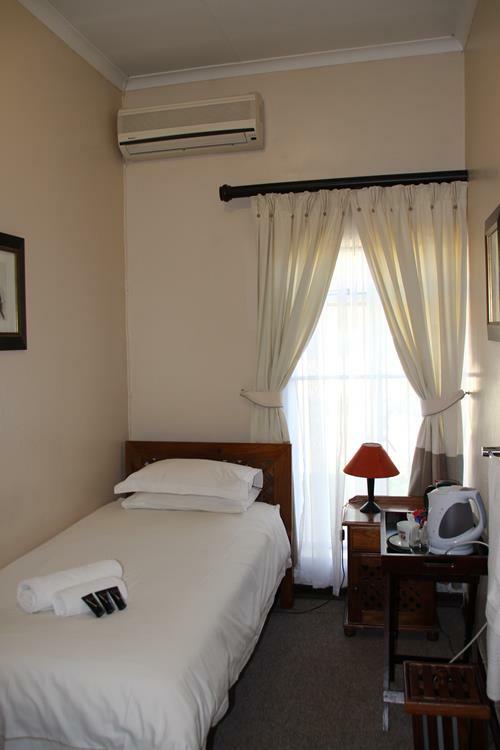 Three Beautiful Standard Double bed Rooms and Two Beautiful Standard Twin Rooms for R650.00 for a Single person per night per room and R900.00 for two people in the room per night with Dstv (hotel bouquet), Air conditioning, Wireless Internet, Coffee and tea Facilities and an en suite bathroom. 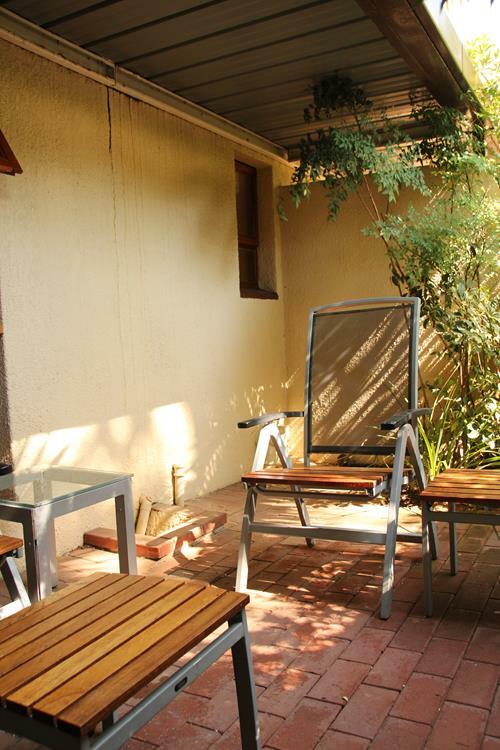 Three Beautiful Luxury Twin Rooms in the East Wing that walk out to the swimming pool and garden for R780.00 for a Single person per night per room and R1020.00 for two people in the room per night and for the children there is a Sleeper couch for R280 per child per night under the age of 12 years. 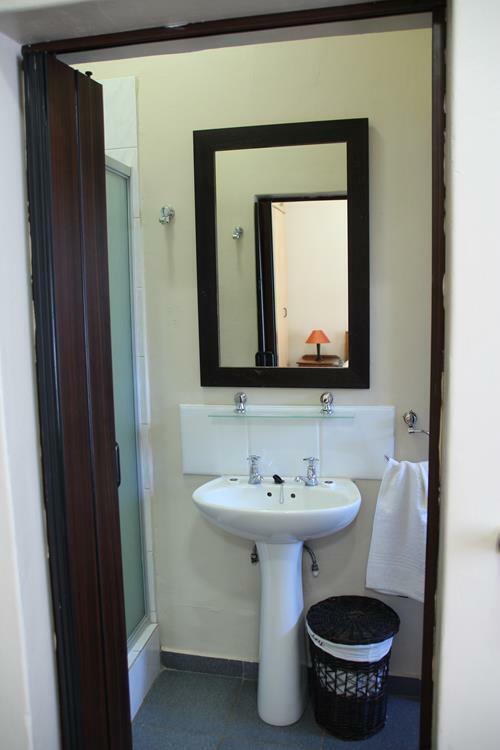 The rooms are equipped with Dstv (hotel bouquet), Air conditioning, Wireless Internet, Coffee and tea Facilities and an en suite bathroom. 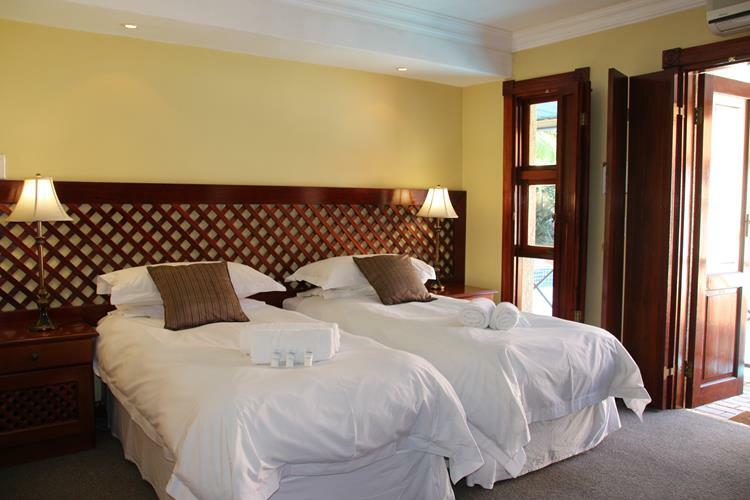 Two Beautiful Luxury King Sized Bed Rooms in the East Wing that walk out to its own private garden for R940.00 for a Single person per night per room and R1300.00 for two people in the room per night and for the children there is a Sleeper couch for R280 per child per night under the age of 12 years. 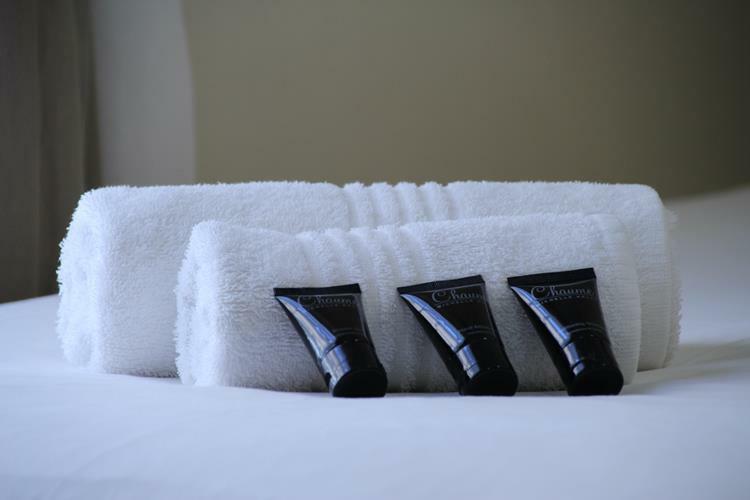 The rooms are equipped with Dstv (hotel bouquet), Air conditioning, Wireless Internet, Coffee and tea Facilities and an en suite bathroom.